Moscow is trying to persuade Sofia to sign the license agreement, which will restore Russia's control of the Bulgarian defence industry and thus will give it a say on a wide range of issues of this NATO member state's defence system. On 19 December 2017, the Ukrainian state company Ukrinmash, incorporated into the state concern Ukroboronprom, filed a complaint with the Commission for the Protection of Competition against Decision No 129 of the Bulgarian Defence Ministry of 6 December 2017 for servicing the MiG-29 fighters for a total of 49.7m dollars. According to this decision, within four years Russia had to provide technical support for 15 MiG-29 fighters of the Bulgarian Air Force. The Bulgarian Defence Ministry explained that it went for direct negotiations with the MiG concern because only the Russian company has a license, manufactures original spare parts and can repair the MiG-29. "Because the Ukrainian state company complained and blocked the procedure, the maintenance of the aircraft is suspended. The allocated funds are returned to the state budget, and it will take at least three to four months to receive new funds for the repair and maintenance of the Bulgarian aircraft. The complaint was filed without penalties, which goes to show that its only purpose was to block the procedure," the ministry said. Incumbent Bulgarian Defence Minister Krasimir Karakachanov, known for his pro-Russian views, held a special news conference on 20 December, at which he described the measures taken by Ukraine as "intentional sabotage". "We still have to find out the reasons for this step, whether there were any political or economic motives of those who did not like the ministry's decision not to seek intermediaries, which was not the case during previous transactions to repair the MiG. This remains to be clarified, and I hope that the competent authorities will do their job," Karakachanov said. He also said that the Ukrainian company neither had a license nor a capacity to repair MiG-29. Although no later than in 2016 Ukrinmash won a tender to supply components and consumables to maintain the airworthiness of the MiG-29 fighters of the Bulgarian Air Force. At the beginning of January 2017, it turned out that the Commission for the Protection of Competition rejected Ukrinmash's motion to suspend the contract on public procurement for the repair of the Bulgarian MiG-29 fighters. This decision allowed the Bulgarian Defence Ministry to continue negotiations with the Russian concern. 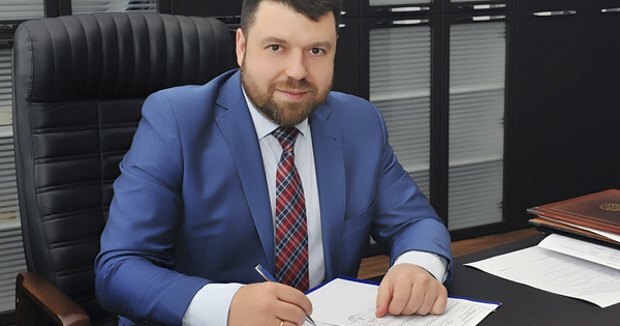 In late January, the director of Ukrinmash, Serhiy Slyusarenko, said that Russia was taking steps to push Ukrainian enterprises from international markets where Ukraine and Russia clash over contracts for the repair and modernization of Soviet-made equipment. However, here we are talking about geopolitics rather than purely commercial interests. In Soviet times, Bulgarian Communists showed absolute loyalty to Moscow and never missed a chance to prove it. Moreover, they twice applied for inclusion into the USSR. Bulgaria never became the 16th republic, but it did establish a special relationship with the imperial centre, which has largely survived to the present day. 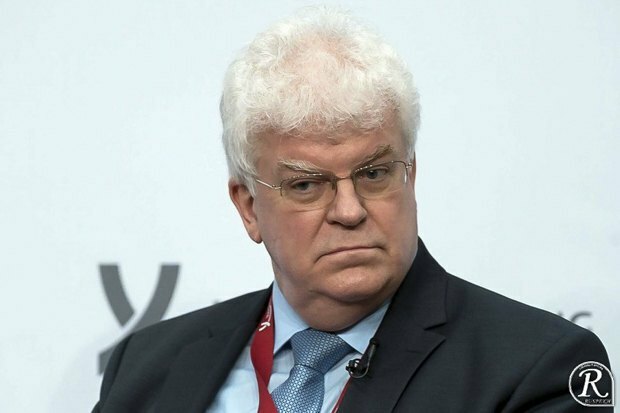 In a burst of frankness, Russia's permanent representative to the European Union, Vladimir Chizhov, once made a Freudian remark, as they say, in an interview with Bulgarian media: "Thanks to the traditionally friendly relations, Bulgaria is also of interest to us as an EU member, and this interest is not only of an economic nature. Bulgaria is in a favourable position to contribute to the relations between the EU and Russia. And we expect that it will be our special partner, a kind of Trojan horse in the EU, naturally, beyond the negative original meaning of this metaphor." Naturally, this metaphor has no other meaning than negative. The Trojan horse is known only as an ancient tool of the hybrid war. Bulgaria is trying to balance and wiggle. From time to time, it makes attempts to drop excessive dependence. And in the military sector, for example, according to former defence minister Nikolay Nenchev, it is the only NATO member that depends on Russia by 90%. "We will do everything possible to reduce our dependence on Russia. Bulgaria is the only member of NATO, which is 90% dependent on Russia. This worries me a lot, and I do not want this to continue this way," Nenchev said in 2015. And he intended to sign an agreement with Poland to service the same Soviet-built MiG-29 fighters. Russia caused a scandal. Cooperation with Poland did not see the light of the day. And when a pro-Russian government came to power, Nenchev faced a criminal case. Even earlier, in 2014, when Bulgaria announced its plans to purchase American fighters, Russia even called Bulgarians "traitors". 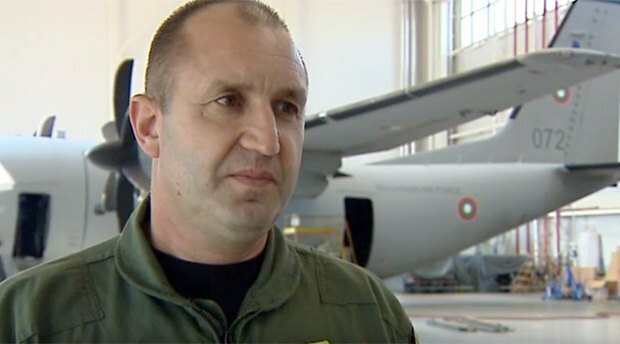 Georgi Bliznashki, the prime minister of Bulgaria at the time, decided to stop using Russian-made combat aircraft after Defence Minister Velizar Shalamanov said that the Bulgarian armed forces should not depend on Russia. Deputy Prime Minister Dmitriy Rogozin tweeted in response: "Certain Shalamanov persuaded Prime Minister Bliznashki to once again betray Russia ... in favour of the used 'eagles'." The Bulgarians took offence at him but their fighter fleet still consists of Soviet MiGs. Rumen Radev, a former commander of the Bulgarian Air Force and the incumbent Bulgarian president since January 2017, who was considered the Kremlin's protege, announced his presidential intention to acquire new Swedish Gripen fighters. He added that he was not in favour of modernising the Soviet aircraft because they were "seriously inferior to NATO". 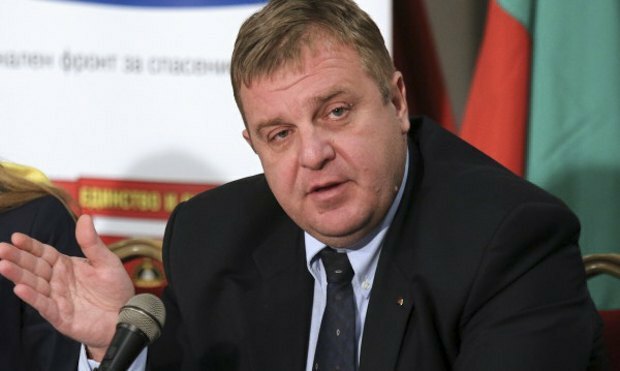 The Russians did not manage to accuse the Bulgarians of yet another "betrayal" because Bulgarian Defence Minister Krasimir Karakachanov rejected this idea. One of the Russian levers of influence on Bulgaria is in fact blackmail using the right of industrial property, which Bulgarian producers and arms exporters allegedly violate and for which Russia demands compensation. In Russia's opinion, it concerns the equipment, which was once handed over to Bulgaria and which had been produced by Soviet manufacturers to which Russian companies consider themselves to be successors. Bulgaria insists that the original hardware has undergone significant changes over time and become the property of Bulgarian companies. This question was partially settled only to pop up again later whenever Bulgaria began to pursue a policy that evoked the Kremlin's discontent. In this regard, at the expert level, Russia is proposing Bulgaria a new draft intergovernmental agreement on the regulation of relations in the production of weapons, military equipment and spare parts for them, shortly the "License Agreement". The main issue for negotiations, which was put forward by Russia, is an attempt to review the licenses issued to Bulgaria by the former USSR, and thereby make Bulgaria dependent on Russia. In particular, one of the clauses of the proposed agreement reads: "The Bulgarian side stops the production of arms, military equipment and spare parts for them under the licenses that were transferred to Bulgaria by the former USSR within the framework of intergovernmental agreements..." Besides, in another clause of the document, Moscow suggests that Bulgaria should seek permission from Russia for each export operation of military products to third countries. Thus, Russia is trying to control the defence industry of Bulgaria and, in general, to influence a wide range of issues of the security and defence system of Bulgaria, a member of NATO, by the way. Russia raised the license issue in public as well. "The issue of regulating licensing relations with Bulgaria, which includes control over the export of relevant products, takes an important place in the bilateral dialogue. We expect the Bulgarian authorities to show the political will to resolve this problem, which, to be frank, casts a shadow over the very fruitful bilateral cooperation in most other areas," Maria Zakharova, the official representative of the Russian Foreign Ministry, said last year. Back in 2017, the Bulgarian president invited Putin to visit the country. He accepted the proposal. The Russian embassy may be preparing the signing of this agreement just in time for this visit, making it a condition for Putin's visit to Bulgaria. By the way, no Eastern European country of the former post-Soviet bloc, the Warsaw Treaty Organization, has made such concessions to Russia (even its closest ally Serbia). Besides, if Bulgaria does sign and implement this agreement with Russia, it is going to lose 20,000 jobs in its defence industry. But even without a license agreement, Bulgaria is heavily dependent on Russia. It affects the political processes in Bulgaria primarily economically: corporate presence, direct investment, trade relations, as well as private property and investment, according to some sources, make up about 17% of its total GDP. Bulgaria's energy dependence on Russia is also high because of oil, natural gas and fuel for nuclear power plants. Russian entities control a large part of Bulgarian media. In one way or another, major political parties, whose representatives are part of the executive and legislative branches, are associated with Russia. Perhaps, the largest Russophile organization in the world is in Bulgaria. It is even called "Russophiles". According to various estimates, it has from 20,000 to 35,000 members. 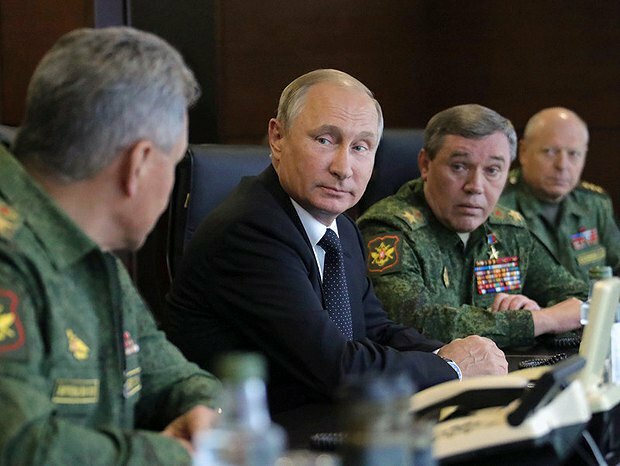 They see their goal in supporting the "strategic role of the Russian Federation in the national policy of the Republic of Bulgaria", they oppose the presence of NATO bases in Bulgaria. In 2014, the organization collected more than 150,000 signatures against the deployment of elements of the US air defence system on Bulgarian territory. Nikolay Malinov, head of the Russophiles movement, during his visit to Russia to attend the conference "Russian-Bulgarian spiritual ties in the past and present", 4 June 2015. Their leader Nikolay Malinov, who is believed to be associated with notorious Konstantin Malofeyev, said in 2016: "Today's Russia is a new Noah's Ark which preserves true human values in the middle of the ocean of immorality and corruption of other countries." 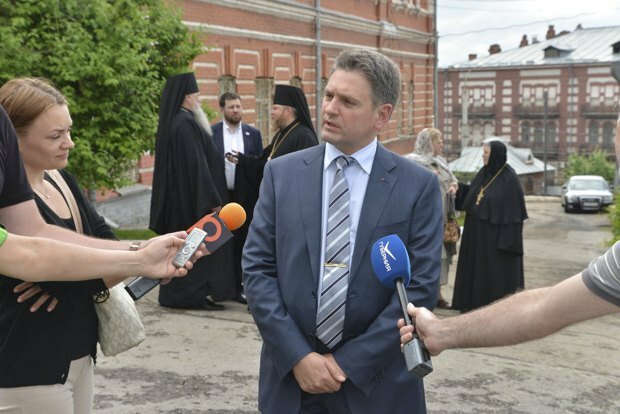 He also publicly welcomed the annexation of Crimea by Russia in 2014: "I want to congratulate all Orthodox Slavs in the world on the victory in the third Crimean War, and I want to remind you that the Balkans are next in line after the Crimean War," Malinov said on national television. During the last presidential election, "Russophiles" supported incumbent President Rumen Radev. The situation with Bulgaria is not unique, but typical. Many faced the incessant expansion of the interests of the Kremlin and the "Russian world": either during the Dutch referendums or during the elections in the USA, France and Germany and other leading countries. Or before accession to NATO as it was in Montenegro, where Russian special services, using militants with Donbas war experience under the leadership of Main Intelligence Directorate officers, tried to organise an armed coup and prevent the country from joining the alliance. 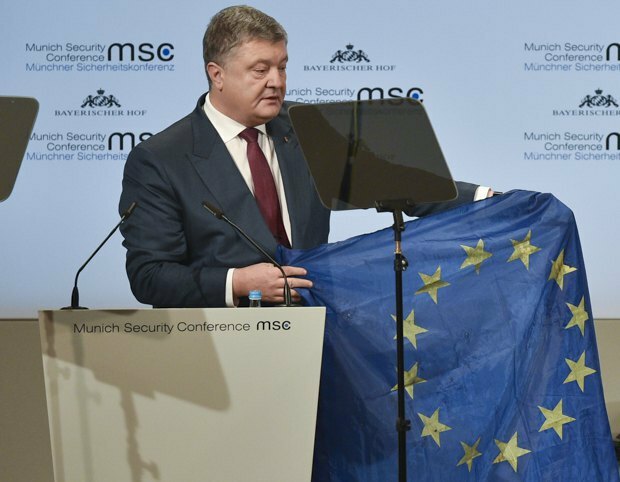 Petro Poroshenko, the president of Ukraine which has been fighting the war for over three years now, spoke about this at the Munich Security Conference, openly calling the actions of the Russian Federation a "world hybrid war": "It is being conducted at different levels, fronts and speeds. It involves many different actors, who, perhaps, do not even realise their destructive role. But there is only one evil behind this war and it is in the Kremlin." A lot of experts are in pain to develop a policy towards Russia and offer their own recipes: from "appeasing" the aggressor to continuing the existing (and introducing the new) sanctions. But it is already obvious: the Kremlin will not stop engaging in expensive geopolitical adventures around the world (buying foreign politicians and parties, interfering in political processes, financing the internal and external Russian propaganda system) for as long as it has a lot of money. And only by depriving the Kremlin, its entourage and the state of superprofits, they will have nothing else to do but focus on their own internal affairs. Or leave.